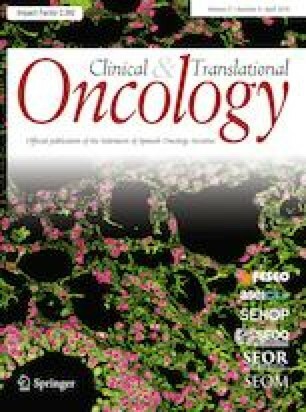 Patients with clinically localized prostate cancer registered within the Surveillance, Epidemiology and End Results (SEER) watchful waiting database from 2010–2015 were reviewed. 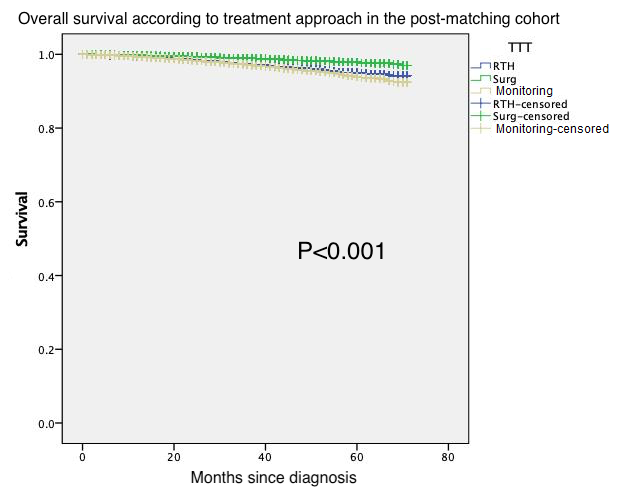 Kaplan–Meier analysis was used to compare overall survival outcomes between patients treated with different initial therapeutic approaches. Multivariate Cox regression analysis (stratified by the risk group) was used to assess potential factors affecting prostate cancer-specific survival. Using Kaplan–Meier analysis, prostatectomy was associated with better overall survival compared to radiation therapy and active monitoring (P < 0.001). Multivariate Cox regression analysis was then employed to evaluate different factors affecting prostate cancer-specific survival. Among patients with low-risk disease, the following factors were predictive of better prostate cancer-specific survival: younger age (hazard ratio for patients ≥ 70 years versus patients 40–69 years: 2.081; 95% CI 1.277–3.390; P = 0.003), white race (hazard ratio for black race versus white race: 2.575; 95% CI 1.538–4.311; P < 0.001), non-Hispanic ethnicity (hazard ratio versus Hispanic ethnicity: 0.472; 95% CI 0.244–0.910; P = 0.025), and initial treatment with prostatectomy (hazard ratio for prostatectomy versus active monitoring: 0.551; 95% CI 0.371–0.818; P = 0.003). Active monitoring seems to be at least as effective as upfront radiation therapy in the management of low-risk disease. Radical prostatectomy is associated with better overall and prostate cancer-specific survival compared to either radiation therapy or active monitoring. The online version of this article ( https://doi.org/10.1007/s12094-019-02098-8) contains supplementary material, which is available to authorized users. This study is based on the SEER watchful waiting database. All analyses in the current study are aligned with established health ethics guidelines. The current study is based on a publicly available dataset. Thus, Informed consent was not needed.